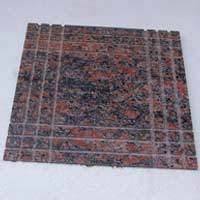 We are engaged in exporting & trading an exclusive range of Granite Tiles. These Granites are high in strength and very easy to clean and maintain. Shining polish with meticulous finish is the defining feature of our Granite Tiles. Our range of granite tiles is hard and durable. Its smooth finishing offers a classically elegant feel to the applicable area. Owing to our rich industry experience, we are offering a wide assortment of Granite Tiles to our patrons. Offered in different size and having excellent finishing, our Granite Tiles are mainly used to cover floor, wall, kitchen countertop etc. 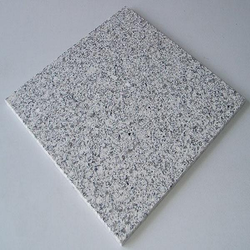 Amba White Granite are high in quality and pure white in color. The unmatched luster of these white marbles have earned them wide appreciation by our clients. Available in polished and non polished range, these granite slabs and tiles find their application in different architectural, buildings, flooring, landscaping and monument construction.